UK duo Ishq have achieved something of a rare feat in ambient music: making new age sound credible. As a fusion of new age signatures with classic ambience and the technology of dance music, their music is truly distinctive and special. Created amid idyllic English countryside near St Ives in Cornwall, the music of Ishq (Matt Hillier and vocalist Jacqueline Kersley), among its many good qualities, achieves something of a rare feat in ambient music: making new age sound credible. As a fusion of new age signatures with classic ambience and the technology of dance music, it is truly distinctive and special. Hillier's art comes from a deep spiritual perspective which extends through his music, the striking cover designs and the independent philosophy of his record label Virtual. You may find some of the album notes, for example, a little pretentious. Yet the music speaks for itself. Ishq's best albums fulfill the transcendent and calming potential that new age and relaxation music claims for its own but often fails to deliver. Instead, new age motifs such as nature samples, celestial synths and airy wordless female vocals are among Ishq's greatest strengths. "Visual art is a big part of what I do...I see ambient music as a landscape painting and everything I do has a visual world. I write visual music which paints an image of what Terence Mckenna called 'the invisible landscape', the inner worlds and planes. So I guess I always wanted to be a landscape painter, painting in the invisible world." Orchid (2001) is a remarkable debut. After an almost conventional start with the loping chillout breakbeats of "Skyblue", the album settles into a contemplative space with the beguiling "Yu", a kind of conversation between harp, sighing keys and the rich sound of Kersley's processed vocal samples. The use of pauses and silence is striking; the effect is like sitting in a huge, lush, garden and watching the life around you. The pulsing drone pieces "Opal" and "Daisy" also evoke an outdoor space but this time it's more like an alien jungle. Beneath the sparkling colours and strange beauty of the scenery is a mood that's a little ominous and tantalisingly unresolved. But the very best music on Orchid is saved for last. "Bhakti" and "Arc" are essentially one track consisting of two movements and a coda. Below is a strong, shadowy chord progression and fretless bass snaking around a sleepy tribal beat; hovering above is a rich spectral drone and fleeting vocal phrases. As it spirals ever deeper into ethereal sound the music eventually dissolves into pure atmosphere, before re-emerging into a wordless vocal passage of staggering, weeping beauty. If this 17-minute masterpiece doesn't move you, its unlikely anything else in the genre will. (Note: the Daiken Records version of Orchid contains a bonus 2nd disc). Matt Hillier took a break from Ishq for nearly a decade after Orchid. Feeling the pressure of producing a follow-up, he rebelled and simply turned his attention to other musical projects, usually some strain of ambient but not under the Ishq banner. Then in 2010 the drought broke, and since that time Ishq album releases have been much more frequent. The huge quantity of Ishq and related material coming out since then inevitably means that some of it not very good, so if you're a first-timer then beware when exploring the band's catalogue. Following are must-have Ishq albums for this period for psyambient fans. 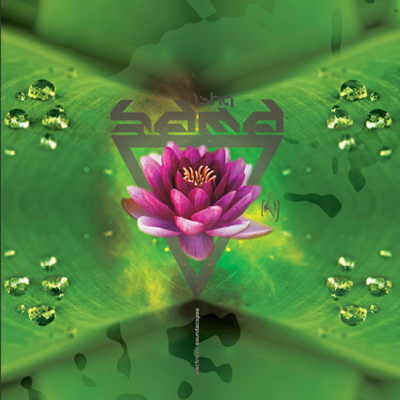 Sama (2010) was a long time coming - nine years - and it doesn't disappoint. To their credit the duo have chosen the harder road of not mimicking the music of Orchid. Instead, Sama presents a more consistently landscaped style of ambience. Except for the the crisp, hypnotic groove of the 15-minute "Ursavatai" the individual sounds are fuzzier in the mix and the melodic lines arc across even bigger spaces. The 10-minute title track is Ishq's most openly loving piece to date. It unfolds like the new dawn set to music despite no obvious sound effects or a signpost in the track title. Upon the exquisitely calming surface the surging chords rise and fall like the deepest breaths, the theremin melody embracing your consciousness like a feather brushing on skin. The album is tonal and undeniably pretty, with echoes of Global Communication and Tetsu Inoue in the mix. And Awake (2011) is also essential. It doesn't really echo either of its predecessors yet remains quite unmistakably Ishq. There's depth aplenty in Hillier's remarkable sound design, as well as some new forays into subtle glitch and click music. Segueing masterfully between beatless and gentle rhythmic, And Awake presents more surreal, shimmering, nature-inspired ambience of the highest order. "Leaf" is perhaps the most hypnotically melodic piece of music they've done, bobbing and spinning with exquisite gentleness. The exquisite Sunflower (2014) is a varied collection of older, mostly-unreleased tracks and a testament to the amazing depths of Hillier's archive. You may already know "Nepalese Sun", a perfectly realised piece of layered, pastoral loveliness that many years ago was licenses to other labels compilations and never made it onto an Ishq album. The rest of the tracks will be new to Ishq fans, including an outstanding beatless remix of "And Awake". Its original glitchy pulse has been removed - always at odds with the Ishq sound anyway - and its odd beauty is laid bare with Kersley's wispy wordless phrasing circling around a haunting, angular chord progression. Blue Infinity (2014) is a conceptual album about flight, inspired by the UK painter and pilot Peter Lanyon who painted landscapes of his Cornwall home from the aerial perspective of a glider. And glide the music does; it's one of the best albums for inner flights you'll ever encounter. The arcing, beatless, complex drones suggest endless horizons and infinite blue, beautiful landscapes, rendered slightly surreal by Hillier's gentle psychedelic touch. The album reaches a kind of epiphany on the melodic 16-minute "Lanyon", its layered chords seeming to expand forever outwards. Hillier's sound design is, once again, impressive; he remains a composer able to technically realise his ideas with absolute clarity. Also essential are two more Ishq compilations. Lotus (2010) collects exclusive tracks licensed to different various-artist compilation albums over the previous decade. Bloom (2012) covers a similar timespan and, like the Sunflower album, features tracks that for whatever reason are previously unreleased. Matt Hillier shows a generally more kinetic side to his artistry in his collaborations with Lee Anthony Norris as the duo Ishqamatics. The project ran 2013-18 and produced five albums, all available in the excellent Elements box set: Earthbound (2013), Spacebound (2013), Waterbound (2014), Firebound (2018) and Airbound (2018). The last three also come with companion remixes, some of which are among the high points of the collection. The soaring up-down melody from Earthbound’s driving “Piano Cruxia” – its haunting phrase also echoed on parts of the beatless Spacebound – is one of the most euphoric things I’ve heard in electronic downtempo. Earthbound’s chugging, cinematic title track is another stunner, rising up and up with menacing power like some behemoth ascending from the deep. On the dubby and luscious Waterbound the highlights are mostly the remixes such as “Blue Light” (Aquarius mix) which sounds like the greatest track that early 90’s Orb never got around to making. Much of Firebound is pretty freaking strange: lots of abstract beat science and what sounds like some nods to the more experimental end of Detroit techno. Airbound is a slice of melodic IDM perfection with some jaw-droppingly lovely progressions, among the best takes I’ve heard on the style since the 1990’s. Hillier adopted the name Omni Vu Deity for two very fine albums that came out in 2015. The two feel like distinct halves of one release: Vuunayatu (2015) is the sound of daylight, Nuiemiu Rift (2015) is the sound of twilight and night. Vuunayatu could easily be a typical Ishq release. For most of its running time it riffs in different ways on the same short, ricocheting melodic loop, dressed in sumptuous drones and vivid environmental samples. The deep, rich chords of “Colortopia” and the title track are ecstatic and moving, the latter evoking the same profound Himalayan mystique found in the music of New Zealander David Parsons. In contrast, Nuiemiu Rift spends most of its time in shadow. Only one piece, the magnificent 16-minute “Xhosa”, has the lush harmonies of the other album, evoking tribal rituals under a starry sky, slowly morphing into the awe of a new dawn. It’s a masterclass in creating a multi-part ambient epic without any anchoring beats. The remaining tracks ooze a seductive dissonance, taking you on a slightly uneasy float through alien forests and dark, exotic terrain. Matt Hillier has many other albums in his discography including some collaborations with partners other than Jacqueline Kersley. A number of these are released as Ishq, while others appear under pseudonyms such as Elve and Ishvara. If you're happy to go without discernible melodies and you like abstract soundscaping, you might also enjoy some of Ishq's "pure" minimal soundscape music such as Skyspaces (2011).